A casual slide sandal perfect for sunny days by the beach. Hamilton is one of our best for that laid-back summer style. We’re calling it a wardrobe essential for this season, especially for the warmer days. 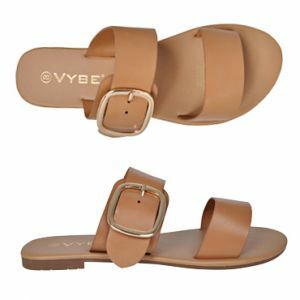 The simple silhouette features two wide leather straps for an easy slip on shoe. Pair Hamilton with some denim shorts and a casual t-shirt for an effortlessly cool look. For a little extra glam, make sure you check out the buckle bearing Natasha.